ESC are experts in providing consultancy services for control and high-integrity safety system solutions with extensive design and manufacturing experience in the process and safety industries. 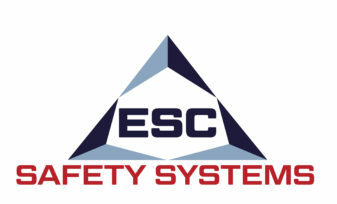 ESC staff have over 100 years combined experience in design and development of control and safety systems. These services include project management, feasibility studies, system functional design specification, system solution design etc. ESC provide Dropped Object Analysis services to complement other risk assessment services on offer. Dropped objects are significant initiators of incidents in many industries and are substantial contributors to the total risk for offshore and onshore facilities. 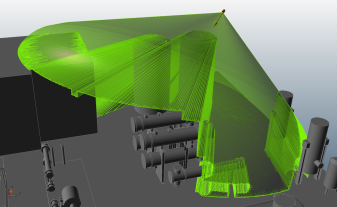 ESC’s Dropped Object Analysis consultants utilise a mathematical model that compares the mass of the dropped object with the height from which it falls to determine the force of impact and therefore categorise the damage caused. ESC is pleased to offer Asset Performance Management (APM) services to complement the range of Risk Management and risk assessment services on offer. ESC’s specialist consultants utilise a process based upon the DMAIC methodology from Six Sigma. The APM process incorporates a range of techniques to maximise effectiveness and therefore ensure high reliability. ESC can provide Evacuation, Escape & Rescue (EER) Analysis services to complement other risk assessment services on offer. Determining safe and effective means of evacuation, escape or rescue is a critical part of design to minimise risk to an installation. It is also an integral part of the UK HSE Safety Case requirements. ESC Ltd now offers a full range of services supporting compliance with the European ATEX Directive and Dangerous Substance and Explosive Atmospheres Regulations (DSEAR). The ATEX Directive and DSEAR define the requirements and duties placed on employers with regards to protection and mitigation of fire and explosion risks within the workplace, including identification, assessment and risk reduction. ESC provides a tailored service to assist employers in meeting the requirements defined in the ATEX Directive and DSEAR using best practice guidance and advanced modelling tools to support in-depth analysis of the requirements. ESC is pleased to offer Fire & Gas Mapping services in addition to other risk assessment services on offer. Optimisation of Fire and Gas detector placement is critical to ensure maximum coverage while minimising the number of detectors used and reducing associated costs. ESC is pleased to offer Building Risk Assessments (BRA) services to complement existing risk assessments services on offer. Assessing risk to buildings on-site is an important aspect to any in-depth risk assessment. The location or design of an occupied building should be considered to minimise the risk to personnel and assets. ESC’s Building Risk Assessment consultants utilise a software-based industry-approved method to identify risks, model consequences and propose mitigation measures where necessary. A full BRA provides design inputs and decision support during the during project design phase.